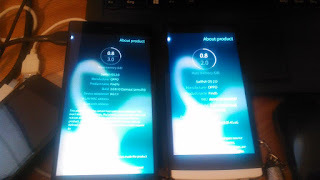 Mobile devices supporting installation of Sailfish OS. Last updated on October 28, 2017 (More Nexus, Xiaomi Redmi & Mi models). Quick links are in alphabetical order. Your device missing from the listed ones? VOTE and ADD here! Announced on July 2015 at MWCS15, introduced on February 2016 and launched in India in the summer of 2016. The device was sold out by Intex on December 2016, and according to Jolla a 2nd patch will not become available. Intex was the first 3rd party manufactured delivering Sailfish OS smartphones. Intex Aqua Fish was exclusively available on Snapdeal online marketplace. Intex told they had plans to expand their sales also outside India, and that this phone should become available in Africa and other BRICS countries. There was some interest especially in Russia, according to Intex. However, now these talks should be left behind. Intex has not announced plans on another Sailfish OS device at this point (by March 2017). Sensors: Proximity, Accelerometer, Compass, ? Currently the only Intel Tablet available with Sailfish OS, Youyota is a community project reviving the discontinued Jolla Tablet with new color red for the 64Gb model. This device is being produced as a crowdfunded Indiegogo campaign. It's expected to be delivered in the end of November 2017. New contributions can still be given on the campaign page, getting the perk, even that the campaign successfully reached its end on July 21. Persons behind the campaign are Michael Du and Liangchen Chen (Shenzhen, China), who are expected to buy the licensed version of Sailfish OS from Jolla, meaning that this tablet is expected to run also Android apps supporting Android runtime 4.4. 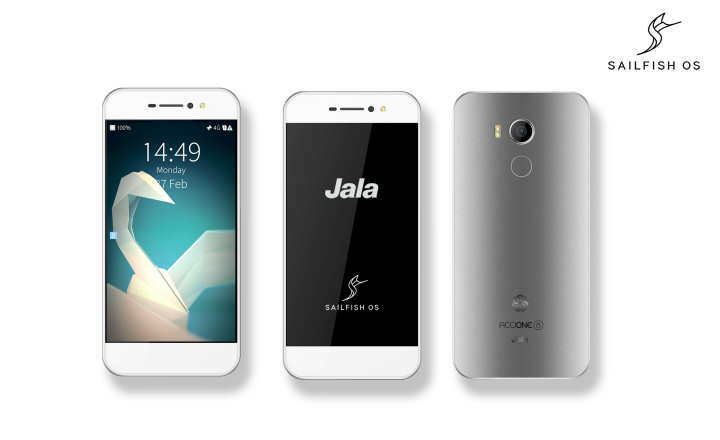 Jolla announced cooperation with Jala Software on MWC2017 to produce a "high-end, low cost" mobile device to the market of South America. 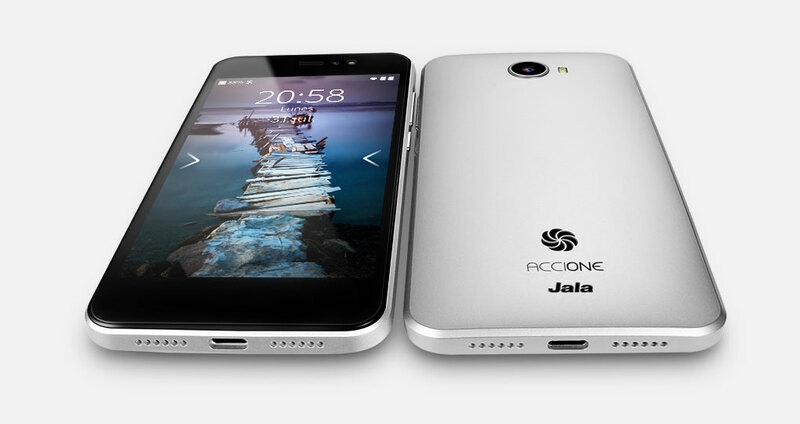 Accione and AccioneP were announced on October 14, 2017 in an Event organized by Jala Software, including invited quests from Jolla and Qualcomm. - Option 1, pre-installed: Android Nougat. Based on Android soon acquired by Google, topped with proprietary components, services, user interface and apps by Google Inc., United States of America. - Option 2, available for willing Early Adopters at Jala Care Centers: Sailfish OS. 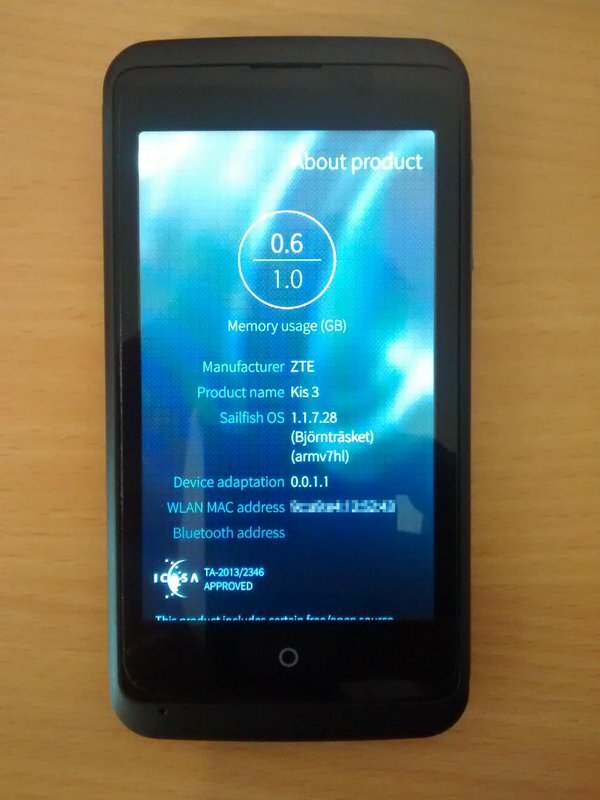 Based on Mer (MeeGo Reconstructed) project orginally by Intel and Nokia, topped with proprietary components, services, user interface and apps by Jolla Oy, Finland. Beta level software not supporting all the listed hardware features. The most of the core components (Mer) are open source. Two of the preinstalled apps, Sailfish Browser and Documents, are open source. The software includes GNU/Linux Terminal App if Developer Mode is activated in the settings. - Option 2: Native Sailfish OS apps and supported Android apps via 3rd party stores (e.g. Aptoide or F-Droid). Android Apps dependent on Google Play Services might have issues in launching or in their features. An older version of some Android apps might be better supported. Introduced on November 2014 at Slush event, a crowdfunded project by Jolla Oy to manufacture a tablet listening to the customers in advance, delivering something with them instead of only for them. 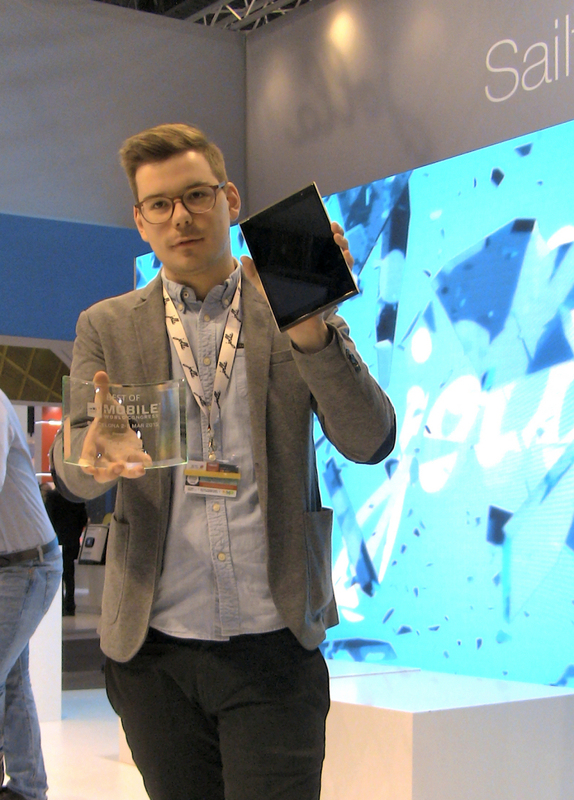 The PeoplePowered campaign reached great success, and on Mobile World Congress 2015 the Tablet won "Best of Mobile" award, granted by Trusted Reviews. 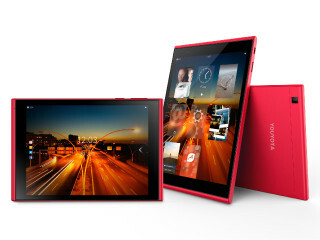 Jolla Tablet is funded by the audience, manufactured in China and delivered into several countries by Jolla Mobile Ltd. located in Hong Kong. Jolla Mobile started a pre-order campaign on September 2015, and the tablet got sold out in a week. There's no information shared if we'll see the tablets available later again. Smartphone launched to markets in Europe on November 2013 designed in Finland by Jolla Oy. The official Jolla Shop is out of stock permanently, but some units might yet be available via other stores like Amazon. @seancameron28 Hi! Unfortunately we don't have any plans on bringing it back at the moment. We apologize for the inconvenience. 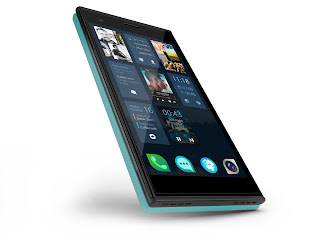 Jolla Phone was Manufactured to introduce the operating system Sailfish OS, also developed by Jolla Oy, showing how even a middle spec'd smartphone can do great multitasking with this operating system. Special features includes Multitasking home screen, Linux terminal for development, The Other Half smartcovers and buttonless user interface. Listed below are community projects on which Sailfish OS has been successfully ported on another device. There are even more ongoing projects but this list is limited to the already successful ones. Please note that commercial bits (e.g. HERE Maps, Exchange sync, Android support) of Sailfish OS are not supported in these versions. The porters community has released Sailfish OS version for Fairphone 2. 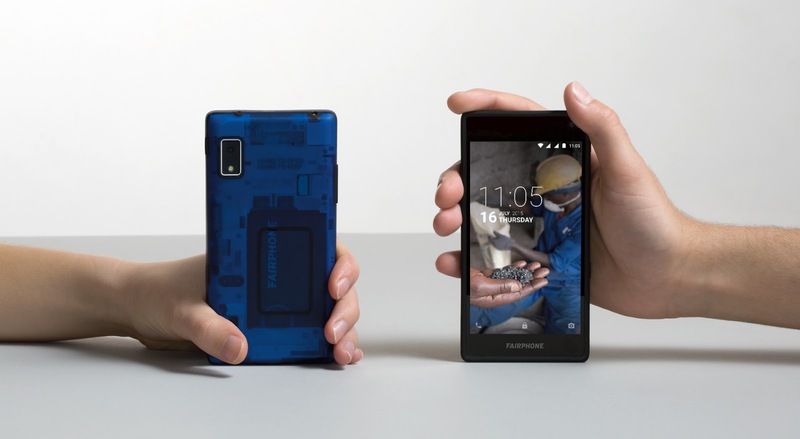 The port is unofficial, but also supported by Fairphone. News on the project were shared on January 18, 2016 in an interview with the porters community, Software Development Lead Kees Jongenburger at Fairphone and Head of communications Juhani Lassila at Jolla. Latest update with image files and steps to install was shared on March 20, 2016, including a small interview. An official version might also become available on later date. Unofficial version is missing Android support, Exchange Active Sync and Text Prediction due to licensing reasons, but in other aspects the current version is already great as a daily driver, hardware well supported. Developer "Mister_Magister" ported Sailfish OS for this mobile phone model, based on cyanogenmod 13. He released his work to public on August 30, 2017 as an Alpha release. For Sailfish OS image for MotoX Force, and instruction to install, please check this XDA forum thread. More info on the phone itself can be found on the Motorola website. Sailfish OS 2.1. for Moto Z Play reached a functional community ported version on August 2017. The port is based on LineageOS, which is also added as stripped version into the download package. On this port, it's not possible to record or play videos (camera works only for photos) and the fingerprint sensor is not supported. Phone calls, messaging and connectivity (wlan, bluetooth, internet) are fully functional. "TheKIT" published this port via TMO, crediting "mosen" for enabling the purchase of the device, "Alberto97" for the LineageOS components and "piggz" for his Sailfish OS port for Xiaomi Redmi 4 used as a base for this (These devices share a similar SoC). Credits for the image on the right goes to Liangchen Chen‏, great community member who is also working for providing Sailfish OS supported QWERTY- bluetooth keyboard mod for this device. You can find more information about the phone on Motorola official website, and information & download Sailfish OS for Moto Z Play via this Maemo forum thread. Sailfish OS 2.1 for Moto X Play reached beta version on June 2017. Developers "Keij0" made this port available for public on May 2017. He thanks "Mister_Magister", "mal" and other people from #sailfishos-porters on freenode for making this possible. This port is based on Cyanogenmod 12.1 (AOSP 5.1 Lollipop ROM). The beta version of Sailfish OS has almost everything working, but there are issues left with sound on playback and in the recognition of the proximity sensor. As close to a fully functional port, this is definitely worth testing. Do note that on unofficial ports Android apps are not supported out of the box. Follow this guide to install and to find out what's already working on this port. More info on the phone itself on the Motorola website. Moto G is an Android smartphone developed and manufactured by Motorola Mobility, unveiled on November 13th, 2013. After six months on the market the Moto G became Motorola's best-selling smartphone ever, and was the top selling phone in Mexico and Brazil. Sailfish OS for Moto G (2013) community port reached functional enough stage on February 2016 ported by Adam Pigg. This phone was also the first ported device to receive Sailfish OS 2.0.1.11 version on May 2016, after which there are not much issues left (even that the developer still refers to this as alpha release) Everything is working pretty well except Bluetooth pairing wits some headsets/cars. Sailfish OS 2.1 for Moto G 2nd generation (titan) reached stable version on May 2017, after 20 months of development by "Mister_Magister". He sends thanks to "sledges", "mal" and other people on #sailfishos-porters IRC channel who helped him. This port is based on Cyanogenmod 12.1 (AOSP 5.1 Lollipop ROM). As a fully functional port, this is definitely worth testing. Do note that on unofficial ports Android apps are not supported out of the box. Follow this guide to install. Sailfish OS 2.1 for Moto G 2nd generation LTE (thea) reached beta 7 version on June 2017. Developer "guhl99" credits "mal", "sledges", "MisterMagister" et al. from the #sailfish-porters IRC channel on freenode: "These guys are doing amazing work and their competence and readiness to help is really inspiring. Without their support this would not have been possible!" This port is based on Cyanogenmod 12.1 (AOSP 5.1 Lollipop ROM). While still in beta, there has been nothing reported as non-functional on the beta 7 so the latest version is pretty close to stable. This is definitely worth testing. Do note that on unofficial ports Android apps are not supported out of the box. Oppo Find7s (WIP) and Oppo Find5. 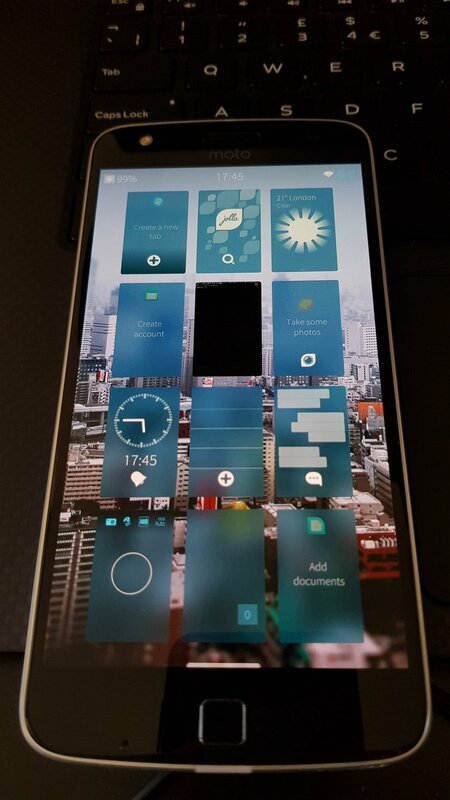 Sailfish OS for Oppo Find7s is also being ported by Nokius (see above), but not quite stable enough yet to be made available to public. Follow up for updates on this! Sailfish OS was ported into this phone as a community project on January 2016 , currently there are only few issues left to be fixed. 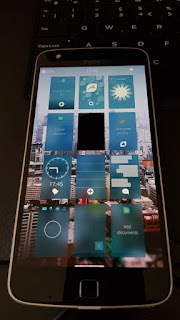 ROM image of Sailfish OS 2.0.0. for Redmi 1S is available here, including a list of known issues. Credits to the developer "Litew"
Sailfish OS was ported into this phone as a community project on June 2017 , currently there are only few issues left to be fixed. 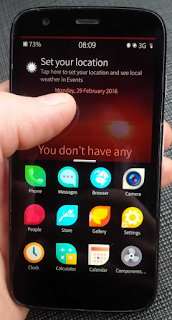 Guide to install and links to download Sailfish OS for Redmi 2 as a custom ROM, based on CM12, including a list of known issues. Credits to the oroginal developer "adeen-s" and active developer "nrdnandan" among with many porters helping this project. Sailfish OS was ported into this phone as a community project on September 2016 , currently there are only few issues left to be fixed. Guide to install and links to download Sailfish OS for Xiaomi Mi 3 / 4 as a custom ROM, based on CM12, including a list of known issues. Credits to the developers "saidinesh5" and "Ar4er" with thanks to "mal-". Sailfish OS was ported into this phone as a community project on June 2017 with great success, but there are still few issues to fix. Guide to install and links to download Sailfish OS for Redmi Note 4 as a custom ROM, based on LineageOS 14.1, including a list of known issues. Credits to the developer "piggz"
Sailfish OS was ported into this phone as a community project on January 2016 with great success. Back then there were a lot of issues to fix, for example cameras, GPS and video playback. 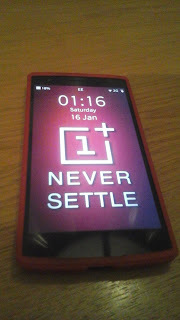 However, after months of bug fixing the users are already reporting excellent feedback (OnePlus forums) in their tests. On the latest version, NFC and WiFi hotspot are about the only ones not tested to work. Availability: Sailfish OS 2.1.2.3 for OnePlus One is available, follow this guide to install. Some tips for fixing different issues have also been collected here. Photo by developer Martin Brook who made this port available. 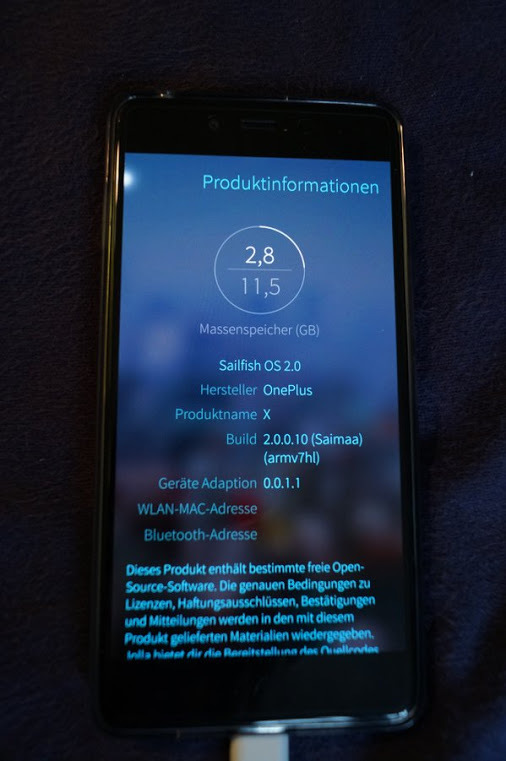 Sailfish OS 2.1 for OnePlus 2 is available as a pre-alpha version for testing. As an alpha, please expect that not everything is working yet and a lot of bugs not yet fixed. 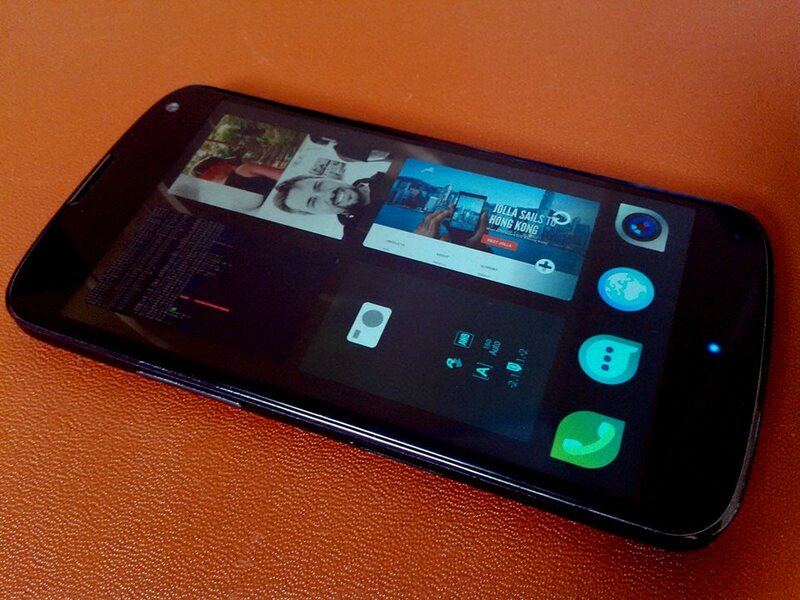 This port is based on Cyanogenmod 13 sources and a special developer kernel. Follow this guide to install and to find out what's already working on this port. Developer "nyl" wishes to credit to "mal" and "Mister_Magister" on sailfish irc channel who helped him greatly, and everyone who contributed to the CM sources. Sailfish OS porting for OnePlus X has reached beta and is publicly availabe, currently with beta 4 version. Developer porting Sailfish OS for this model is Tim Tääm and kimmoli. 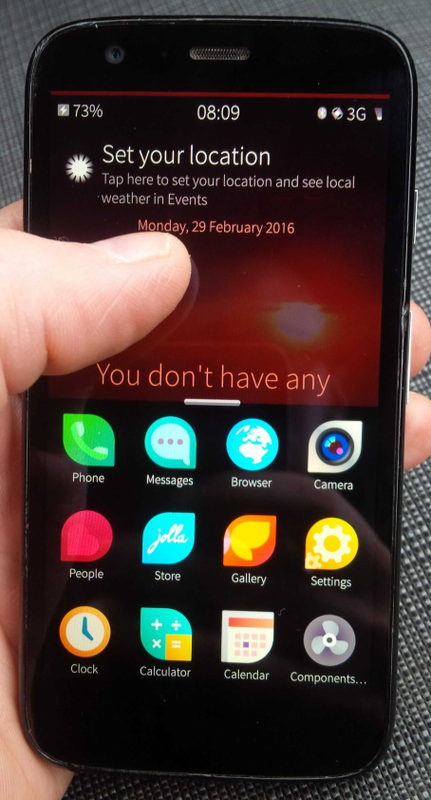 Access to Jolla Store is included already, and Sailfish OS can be updated over the air with some terminal commands visible in the bottom of the ROM images page. Version beta 5 for Sailfish OS 2.1.0 is under development. Jolla introduced plans on cooperating with Sony Open Devices Program during MWC2017. The official software for Sony Xperia X was made available on October 11, 2017 for customers in EU, Norway and Switzerland. Xperia X was the first 64bit mobile phone to officially run Sailfish OS. 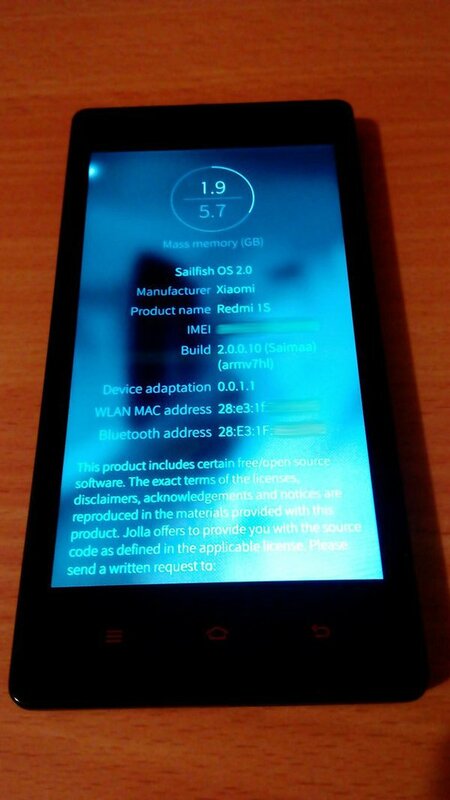 Price for the software was set to 49,90€, for which the end user gets Sailfish X 2.1.3.5 Kymijoki as a download, flashtool and instructions, official support and care for one year, system updates for at least one year, access to Jolla Store and access to install (from the Store) 3rd party commercial features including support for running Android apps, MS Exchange Active Sync and predictive text input. After October 2018 the system updates are supposed to keep on coming, but the 3rd party features might not get further updates and the official support comes to an end. Jolla plans to announce a continuation program, to be announced closer to the end. 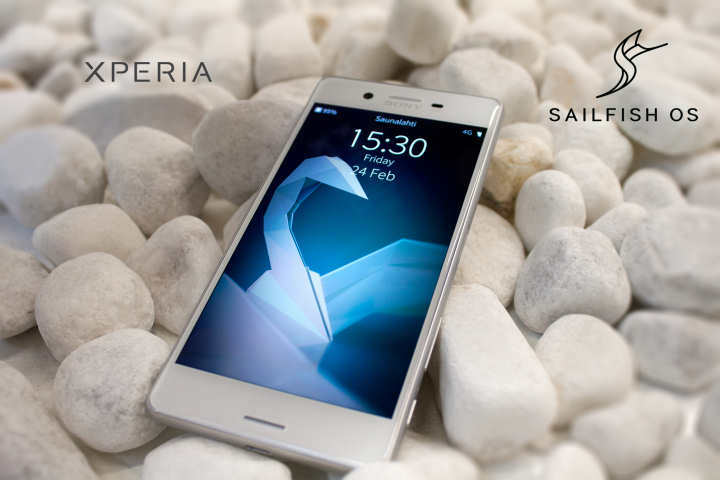 Unofficially, you can install Sailfish OS for Xperia X for free via getting a community ported version (2.1.1.26 Jämsänjoki has already shared to public while writing this), or via hacking one by yourself, using an official porting guide provided by Jolla. The unofficial versions do not enable installing the 3rd party commercial parts, but ports so far can receive system updates over the air and they have access to Jolla Store to install Sailfish OS apps. Your first impression after testing @JollaHQ #SailfishX mobile operatin system on @sonyxperia #XperiaX? Smartphone model from 2011, originally sold as an Android phone. 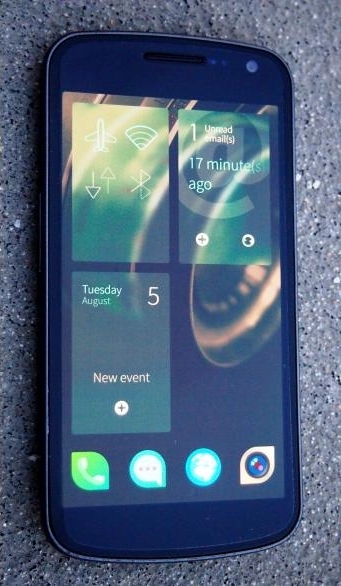 Sailfish OS was ported into this phone as a community project on July 2015 with great success, hardware well supported including QWERTY keyboard. Sailfish OS was ported on ZTE Kis 3 (and its listed variants) by KonstaT. The latest build is alpha2 release with Sailfish OS 2.0.0, supporting the most of the hardware. 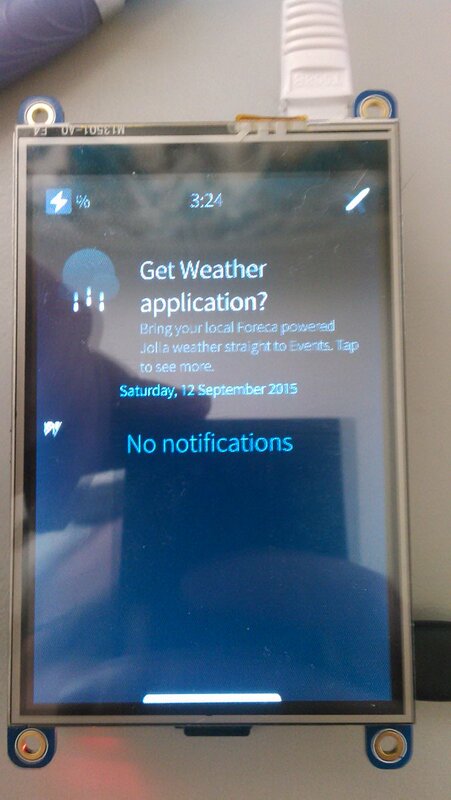 Only the proximity sensor is currently disabled, and FM Radio doesn't have a user interface. Users should also be careful with the display brightness settins, but in overall the build is already stable enough as a daily driver, tested on ZTE Kis 3. Dual SIM models (V811W, Blade M) are missing GSM support for phone calls. Release notes, install guide and ROM images can be found here. Before starting, it's good to copy all your important data elsewhere and wipe the phone as shown in this video. Galaxy Nexus is an Android smartphone released on November 2011. Community ported Sailfish OS runs on it quite well, however the camera doesn't work and there are some issues left with video playback. Nexus 4 Android smartphone was released on November 2012. Sailfish OS can be installed on it as custom ROM to replace Android, only nfc missing among some minor bugs left. I recommend this port as your daily driver, and installing sfdroid enables using Android apps as well. By the way, I somehow liked this video on the install process a lot. Maybe it's just the music on it? Nexus 5 Android smartphone was released on October 2013. 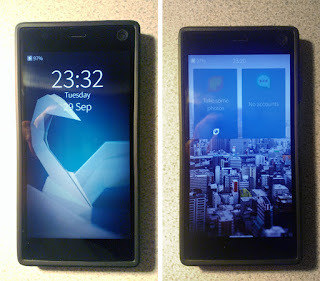 Sailfish OS has been ported to it successfully as community projects, everything working. Worth a try, if you have this phone. Nexus 7 is an Android tablet, released as separate GSM and WiFi models on 2012 and 2013. Sailfish OS can be installed on each four models, while the most stable version has been ported for 2013 models. On these, only GPS and USB MTB are not functional and the ports have reached stable stage. - Ported by "alterego" and "junnuvi". Latest release Sailfish OS 1.0.8.19 Alpha 1. Currently (October 2017) this port is not actively developed. - Ported by "alterego". Latest release: Sailfish OS 2.1.0.10 Beta. release on May 2017. Currently (October 2017) this port is not actively developed. - Ported by "Mister Magister" with help from "cxl000" and "mal-". Latest release 2.1.1.26 Stable, released on September 2017. This port is actively developed. - Ported by "cxl000". Latest release 2.1.1.26 Stable, available for download. There's a dedicated blog SailPi introducing this project, and these guys have already successfully installed for example Sailfish OS 1.1.9.28 on Raspberry Pi 2, including a working keyboard, Jolla app store and everything. Jolla Oy, developer of the operating system, licences Sailfish OS for 3rd parties for free, making their revenue via exclusive PartnerSpace, so we can expect even more brand new devices to show up. Jolla has also shared an official guide to help community projects in porting Sailfish OS for Android phones. 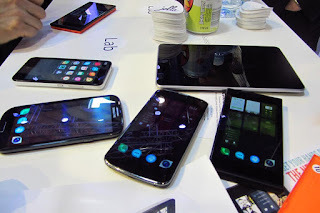 We did a video interview on this at MWC15, Barcelona, Spain. 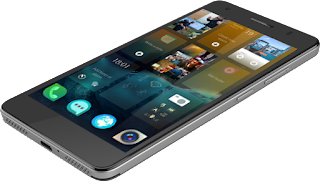 Lumo: officially supported version of Sailfish OS for Lumo video security phone upcoming. 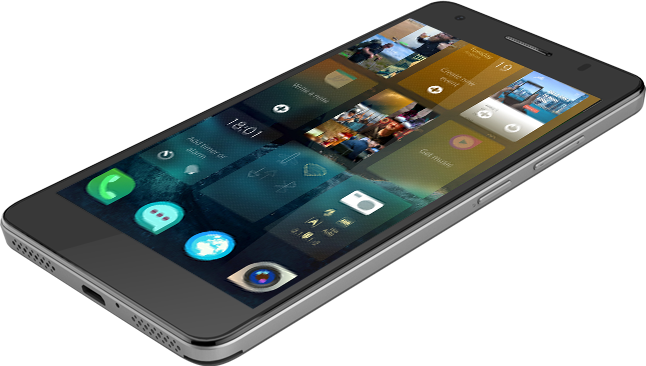 16.5.2017 Oulumo and Jolla announced co-operation to develop next generation video carephone. Sony Xperia (open device program, other models not already listed above). Porting efforts are expected on several Xperia models, already started for Xperia X Compact. Some of these will remain unofficial ports, but some might be lifted to be officially supported. HTC Desire is getting pretty close to reach the list above. Check the alpha versions for HD and Z, and feel free to try. TRI released a few Turing Phones running on Sailfish OS, but the production never really started and the project seems to be discontinued. I'm very skeptic on further release due to company history. HTC One was under work, but no updates since March 2016. Phone calls are an issue. Sailfish OS on Nexus 4 and Nexus 5 have reached beta stage and is the porters are reaching towards unofficial, open solution for Android apps support. Check this video! This page will be updated after successful porting projects, and of course when we get to know more about new mobile devices. Welcome back later, and feel free to comment, for example on which devices you'd like to see Sailfish OS next! Thanks for your comment, post updated - Then it seems Nexus 5 has the best port currently available then! So did you write your own script/app to read/write on NFC tag? What are the devices that supports the installation? I'm sorry, I don't understand your question. The devices you can install it on are listed right above. Does the raspberry pi camera work with sailfish os when it is on raspberry pi 2? Currently not (afaik), but you can contact "locusf" via SailPi blog / Twitter / IRC to ask if there are updates on that. You might like to share that wish on Freenode IRC channel #sailfishos-porters - The developers of each port hang around mostly there together, and someone there could also guide you forward to the latest versions and any possible workarounds for bugs. Do Bluetooth adapters work with Sailfish OS when it is ported to Raspberry Pi and if so is there a GUI application that can be used to control the Bluetooth on the system? BT adapters should work, about GUI I don't know. Comment here for a better answer. Do you need to have linux to write the raspberry pi image file onto the sd card? If not which program should I use if I have a windows computer? You need a program to unzip .xz file type, and you'll need an ssh terminal (I used Putty). You might also run into issues with the SD card storage space recognition when you use it in both Pi and Win... Search around "windows and Rasperry Pi" to solve any possiblr problems, but in general Linux is not required. You kinda forgot the N9/N950. No idea what happened with the official Jolla ones though. Matti shared that he's not the man behind these ports. Latest version for N9 seems to be Sailfish OS 1.1.2, and it's quite buggy. There's no activity on the project right now, so updates are not likely. Also N900 is inactive. I am really interested in one port for the moto g 2015. Is that possible? Are there any pointers from porting to moto g 1g and 2g one could use for 3g? The link to the video of the installation process of Sailfish OS on the Nexus 4 does not work, the related account was deleted. still available from Amazon.it, but they don't delivery internationally. I recieved a Jolla today. Bough it mid- march. The old one got destroyed by 2 m drop onto pavement. Saw that Jolla are available in rhe web shop again. Thanks a lot for that post, that helps a lot. I am looking for a phone without any google/windows/apple related stuff and Sailfish looks great so far. Since I do not have a compatible smartphone yet, I am wondering what the best model would be to purchase in order to use in daily life as the only phone? I do not need the newest model. The Nexus 4 or Motorola Moto G looks promising, but I'm not sure. What would you suggest? What did happen to you? There is more than a month that you do not publish anything, are you allright? I second the inclusion of the YouYota tablet. With today's announcements about the components having been ordered and an estimated shipping date of 28 Sept, this tablet is a lot less speculative than some of the other devices on this list. Thank you both, Youyota is added to the list now. pakman yes, it sure is (less speculative). For example the SSH device was never announced as discontinued but it just doesn't seem to materialize at all. Great list man! i've been searching for a list like this! i am thinking about buying a new phone, s4 mini is getting slow... this list definitely helps me. Thank you, comments like this encourages me to keep on updating. I wish you all the best in hunting the best device for your needs. Can you add Redmi Note 4G? 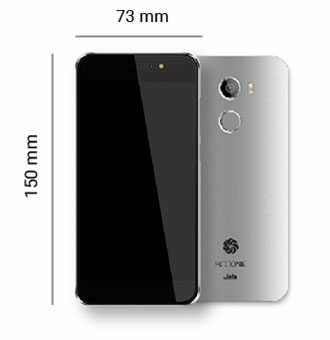 It is the same processor as the Redmi 1s. Please let me know if you can. Thank you!